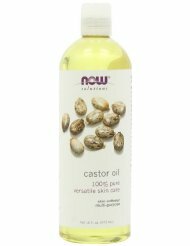 Skin Care: Can be used as a luxurious body moisturizer. Especially helpful for dry, rough elbows and heels. 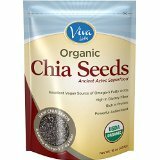 Rich in Medium-Chain Triglycerides (MCTs): Rich in Medium-Chain Triglycerides (MCTs): MCTs are a unique form of fatty acids that are used by the body as a source of energy and have been shown to be beneficial in helping to maintain a healthy weight, increase stamina and promote healthy metabolism of nutrients. Pure: Certified organic, non-GMO and cold-pressed to retain all of its natural health benefits, our coconut oil delivers delicious taste, aroma and health-promoting properties in the cleanest form possible. A true essence of the tropics, Viva Labs Coconut Oil is sourced from rich volcanic soils in the most pristine region of the Philippines where exotic palm trees flourish with coconuts of pearl-white pulp and delectable sweetness. Our top-grade coconuts are selectively chosen and hand-picked at their peak freshness and fragrance by skilled local farmers native to this sacred region. These succulent coconuts are then cold-pressed at low temperatures using our proprietary extraction method, preserving powerful nutrients and health-promoting antioxidants. 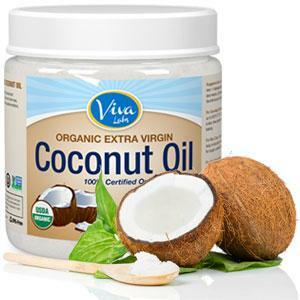 Enjoy everlasting coconut bliss with just one taste of Viva Labs Organic Coconut Oil! Coconut oil exists in two variations, refined and unrefined. In refined oils, immature and dried copra are processed at extremely high temperatures, bleached and deodorized, removing desirable nutrients, taste and aroma. In our journey to produce an unrivaled and unrefined coconut oil, we compared the quality and taste of coconuts across various regions worldwide. After endless taste tests and nutritional analyses, we discovered the best-tasting coconuts are grown in the fertile volcanic soils of Mt. Banahaw, considered to be the region’s “Holy Mountain”. Working with local farmers in this region, we hand select our coconuts once fully ripened. Within only a few hours upon harvesting, our organic coconuts are gently cold-pressed through a proprietary extraction process, retaining antioxidants, essential nutrients and a pleasant coconut aroma and flavor. The end result is an unaltered and irresistible virgin coconut oil with an exotic silky, smooth taste full of Viva goodness. Our proprietary cold-pressed coconut oil extraction allows our oil to penetrate deep into skin tissue, clarifying, moisturizing and cleansing even the most sensitive of skin. For a daily night time regime, apply coconut oil liberally to all parts of the body in need of some coconut therapy, for a silkier, smoother and more radiant complexion. To promote healthier and stronger-looking hair, create a hair mask by melting one to three tablespoons of Viva Labs Extra Virgin Coconut Oil and apply it to roots and ends. Allow it to rest one hour before showering or, let it sit overnight for a deep conditioning treatment. 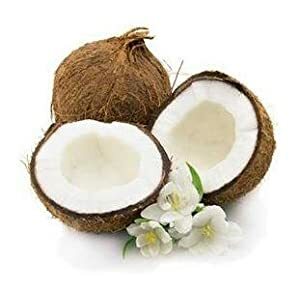 Coconut oil is a delicious and healthy alternative to conventional oils, butter and other fats, lending flavorful and aromatic tropical goodness to any recipe. Unlike most fats, Viva Labs Organic Extra Virgin Coconut Oil has a smoke point of about 350˚F, making it perfectly suitable for scrambled eggs, stir-fry, rice and more. Customers love adding our coconut oil to baked goods to boost the nutritional richness and flavor of their favorite desserts. 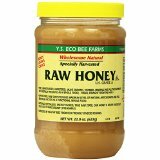 Enjoy coconut oil in its natural raw form as a delicious spread or, add coconut oil to your favorite smoothies and breakfast cereals. 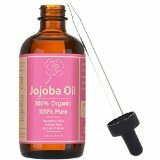 Oil pulling has been used for centuries in ancient Ayurvedic medicine to naturally boost dental health and promote the body’s detoxification process. Prior to brushing your teeth, place one tablespoon of Viva Labs Organic Extra Virgin Coconut Oil in your mouth and swish for 15 to 20 minutes. Expel the milky, white fluid into the trash to avoid ruining your sink, then rinse your mouth thoroughly with warm water. 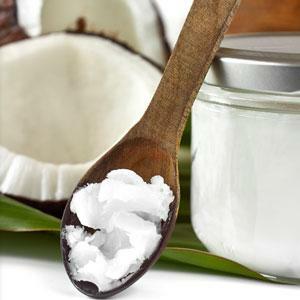 You may melt the oil prior to use, however coconut oil will naturally melt in your mouth after 30 seconds. 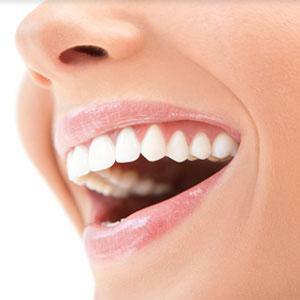 Perform this routine every morning on an empty stomach to promote a brighter looking smile and have your mouth feeling refreshed. 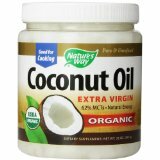 Virgin coconut oil is naturally abundant in health-promoting saturated fatty acids known as medium-chain triglycerides (MCTs). Unlike traditional long-chain fatty acids, MCTs are immediately converted into energy by the liver and have been shown to promote healthy weight management. 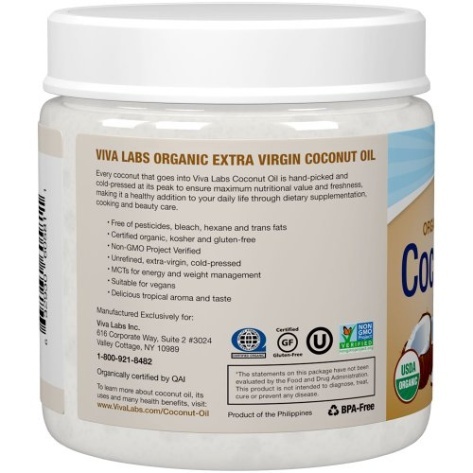 Viva Labs Organic Extra Virgin Coconut Oil contains high concentrations of MCTs per tablespoon, consisting of 7,210mg of lauric acid, 906mg of caprylic acid and 836mg of capric acid. 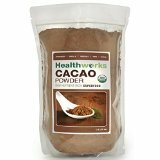 Enjoy up to four tablespoons per day to rev up your metabolism and manage weight naturally. Q: Is Viva Labs Organic Extra Virgin Coconut Oil Naturally Solid or Liquid? 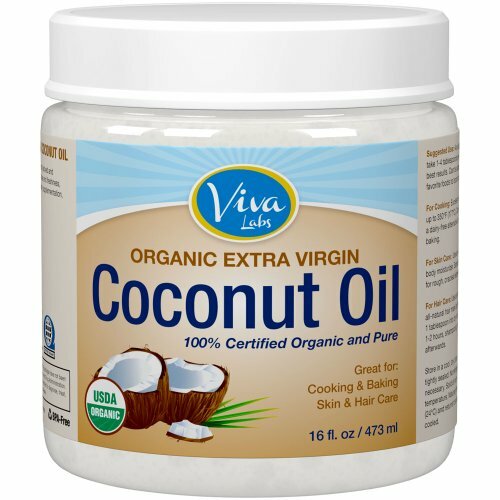 Q: What is the Shelf-Life of Viva Labs Organic Extra Virgin Coconut Oil? A: Our coconut oil has a shelf-life of two years. Virgin coconut oil has a longer shelf-life than traditional oils due to naturally-occurring MCTs which help preserve nutrients, antioxidants, flavor and aroma. 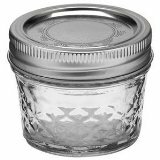 We recommend storing it in a cool, dry place with the lid tightly sealed, away from heat and light. Q: Is Coconut Oil Safe for Pets? A: Coconut oil is perfectly suitable for pets and may be taken internally or applied topically. 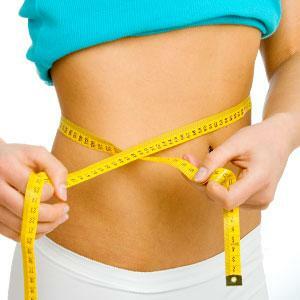 Internally, coconut oil helps maintain normal functioning of the digestive tract and boosts immunity. Topically, coconut oil may be used on pet ears, cuts, wounds, sores and paws. 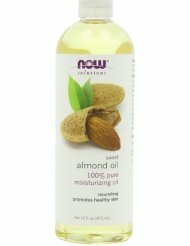 Q: Is your Coconut Oil Peanut and Tree Nut-Free? A: Yes. Our coconut oil is produced in a peanut and tree nut-free environment and packed in a GMP-certified facility, free of all common allergens. 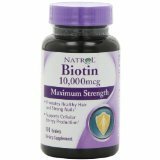 Can be taken as a dietary supplement, used as a versatile cooking oil or as part of your natural skin and hair care routine. 100% Organic, extra-virgin, cold-pressed coconut oil. 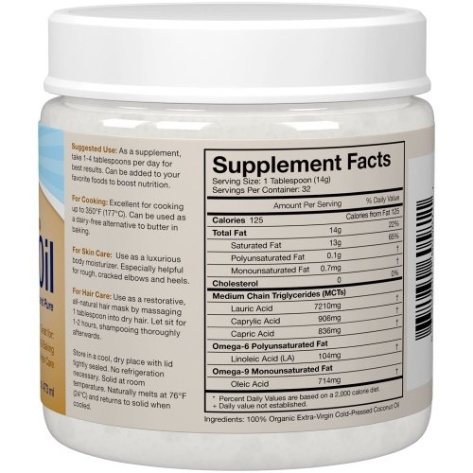 For Dietary Supplementation: Take 1-4 tablespoons per day for best results. 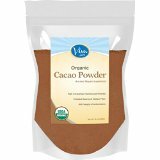 For Cooking and Baking: Excellent for cooking up to 350° F (177°C) and makes an excellent dairy-free substitute for butter in baking. 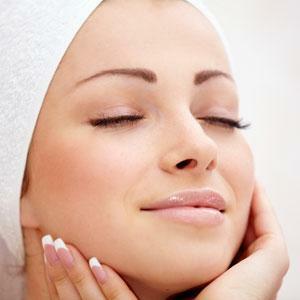 For Skin & Hair Care: For skin care, apply topically as an intensive moisturizing lotion. For use an intensive hair mask, submerge the coconut oil jar in warm water until liquefied. Apply 1 tablespoon to dry hair and let sit for 1-2 hours, shampooing thoroughly afterwards.